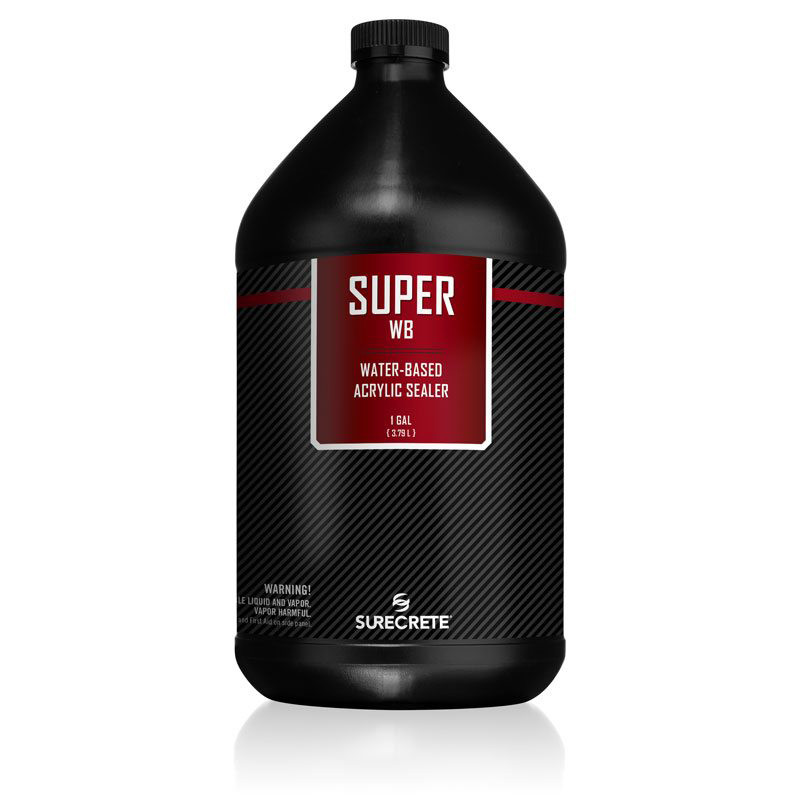 SureCrete Authorized Distributor SureCrete Super WB is a water-based clear outdoor sealer for pool decks and patios on both concrete and pavers. SureCrete's Super WB is a 30% solids, water-based, low VOC (less than 100 g/L), strong binding, clear, gloss acrylic sealer for SureCrete overlays or any cement based product. This product contains a hybrid, self-cross-linking, acrylic resin with built-in water repellency and tenacious penetration and adhesion. It contains no wax or silicone additives. The coating is chemical resistant, durable, does not blush, has long solids retention, and is easy to clean. 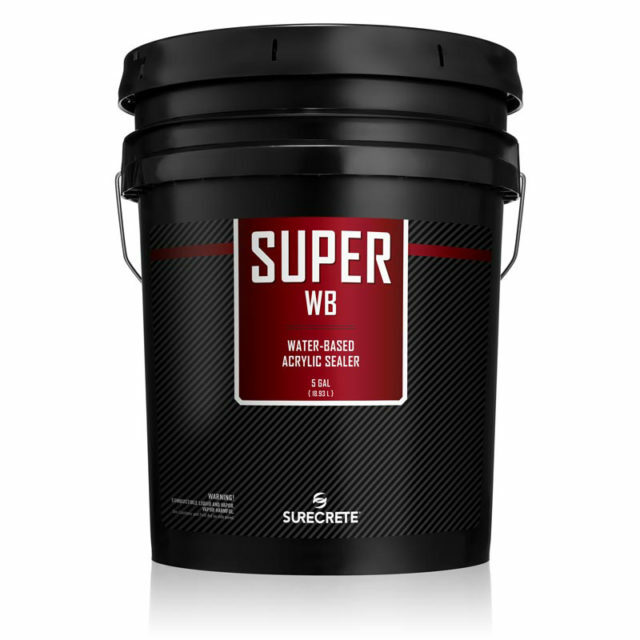 Super WB is non-flammable and environmentally safe.